“En avant-garde toujours” (Always in the vanguard). 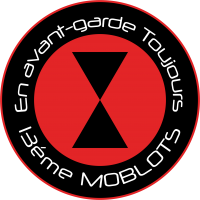 Regimental motto of the 13ème Moblots. 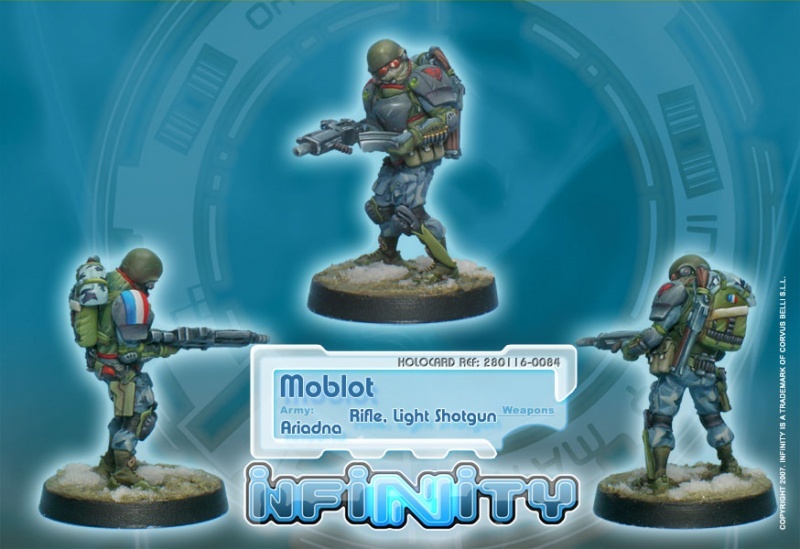 The Treizième de Moblots, Merovingian Heavy Infantry, chose its name in honor of the French mobile soldiers of the Franco-Prussian War. The regiment specializes in medium and large-scale offensive actions as well as frontline tactical operations. 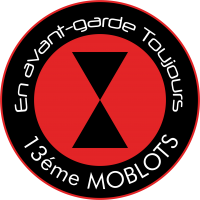 To maximize operational flexibility, the combat units of the 13ème include experts in a variety of military skills and specialties. 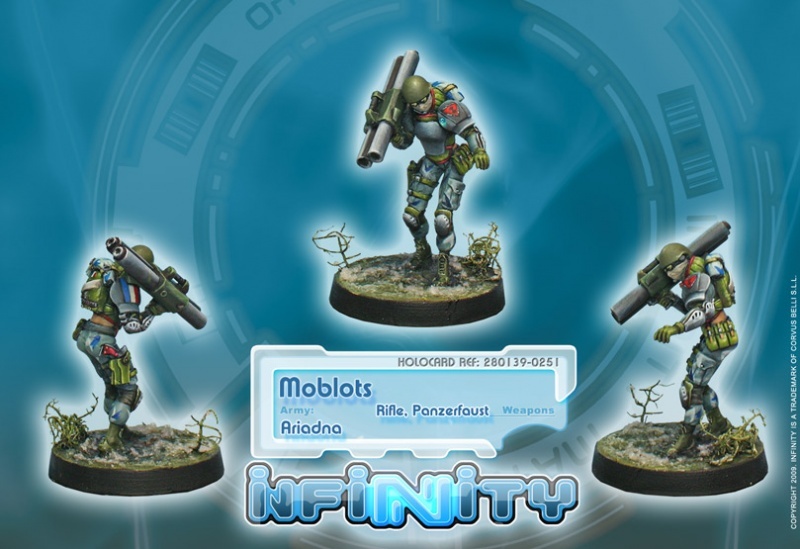 Moblots are handpicked from other units for their enthusiasm, trustworthiness, endurance and ruggedness, being promoted by their officers in command. They have a reputation for adaptability and improvisation, but also for being quite annoying. 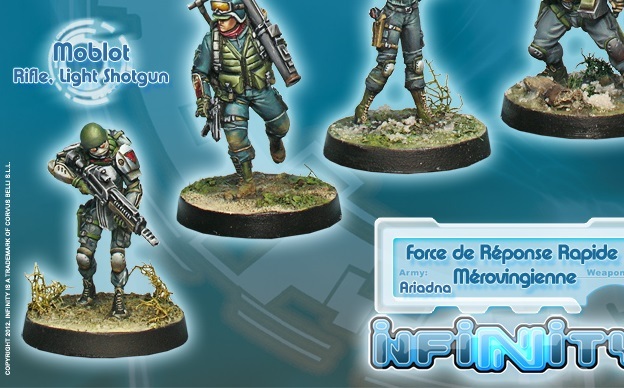 The problem with them is that they are well-aware of just how good they are, so other units find it difficult to stomach them, and with good reason… until it’s breakfast time for Rosalie, the long French-style bayonet. Because, when push comes to shove, the Moblots are the first to go into the breach, if only because their pride won’t permit them to go behind anybody else.